OVAL-TISCH embodies timeless elegance. Its merits become evident especially in expansive dining areas and conference rooms. 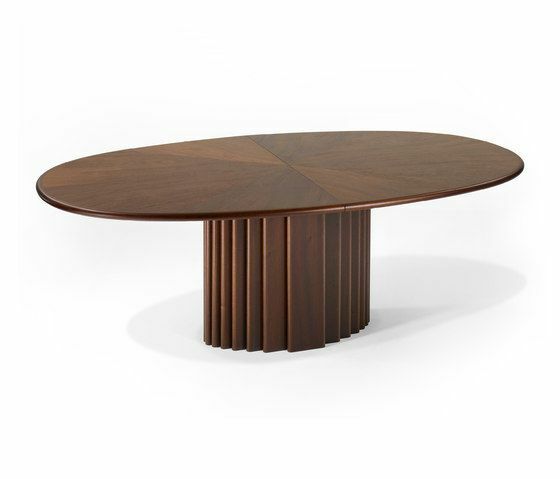 The many-faceted column base bears an oval top of mahogany with sunburst veneer. Three extension leaves allow the table to be lenghthened without forfeiting any of its elegance.